The Playstation 4 is getting a facelift. Sony will reveal a new slimmer version of the PS4 next month, according to a Wall Street Journal report. The new console, unofficially dubbed the PS4 Slim, will have the same exact specifications as the original PS4 but with a new thinner design. It will compete directly with the Xbox One S. According to one analyst cited by the WSJ, the new slim model will also be sold at a cheaper price. The PS4 Slim console is set to be revealed at the company’s major media event taking place in New York City on September 7. At that news conference, Sony will also release a high-end version of the Playstation 4 with 4K streaming support and other enhanced graphics capabilities. 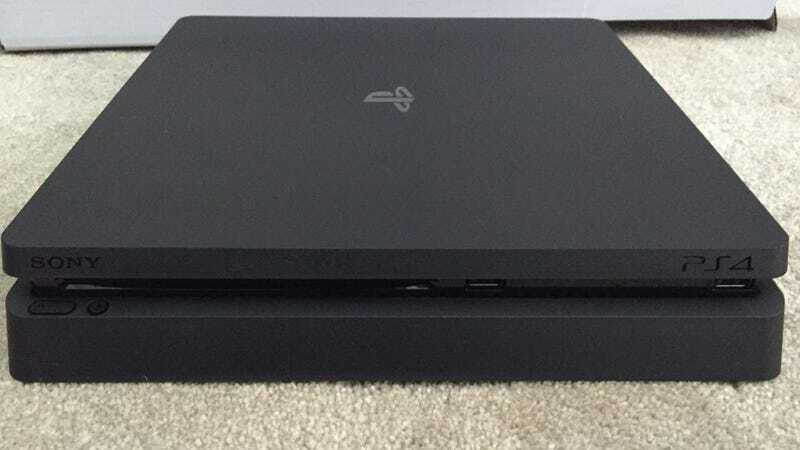 According to leaked images that popped up on gaming forums this weekend, the PS4 Slim model will ship with a 500 gigabyte hard drive. It also appears that Sony has removed the optical audio port on the new design. Aside from that, the console should be exactly the same. Sony has been tight-lipped about the PS4 Slim console. In June, the company confirmed that it was working on a more powerful PS4 codenamed “Neo” that would include a faster processor, 4K resolution, and better graphics. The company says that PS4 games will be playable on both console variations. The introduction of a second console marks a new approach for the company. Sony is looking to broaden the appeal of gaming systems, even after completely destroying the Xbox competition with the release of the Playstation 4 back in 2013. The company announced in May that it sold 40 million Playstation 4 units since its launch, more than double the number of Xbox One sales during the same period.